Why call Roof Medic first if your homes roof is leaking in Lewis Center, Ohio and you need leak detection? A leaking roof is not necessarily a sign that you need a roof replacement. In most cases, a leak is a reminder that a maintenance inspection and some preventative repairs are in order. Unfortunately, it’s not always easy to know where a roof leak originated because water can take several paths from the rooftop to the ceiling where you notice it. That’s why Roof Medic in Lewis Center, OH offers leak detection services. Calling a roof repair specialist at the first sign of a leak can extend the serviceable life of your roof and prevent costly secondary damage to other parts of your home. Described here are some of the areas where a leak might get its start. Roof Medic can help you find and repair these sources of roof leaks. Roofing penetrations are the source of many roof leaks. That’s because the flashing and sealants used to waterproof them break down over time and allow water to seep under the shingles and into your home. Penetrations such as skylights, plumbing vents and exhaust pipes must be inspected and the sealants checked every 3 to 5 years. Complicated roof lines with lots of valleys are prone to leaking. Applying shingles to these areas takes more skill than a gabled roof, and a layer of flashing and sealant must be properly applied beneath those shingles. A number of things could be the reason for a leak in a roof valley from faulty workmanship to deteriorated sealants and corroded flashing. If a hailstone hits the roof with enough force, the dent it creates can stress the shingle so much that it cracks. To add insult to injury, the dent prevents rainwater from flowing off the roof the way that it should, instead encouraging it to collect in the dented area and seep through the cracked shingle. Leaks that start this way often go undetected for years. That’s why it is so important to have your roof professionally inspected after a hail storm. Missing shingles can be the source of your roof leak. When strong winds blow shingles off of your home, that area of the roof is no longer protected. A missing shingle allows rainwater to get under the remaining shingles. A leak may happen immediately or after several seasons, making the reason for the leak difficult to pin down. To prevent this kind of leak, make sure to replace any blown off shingles immediately after a storm. Roof leaks become evident over time, and knowing what to look for is the first step in detecting a roof leak. Algae and mold growth is common during the warmer months. Shingles that appear to be buckling are a sure sign of roof damage. Curling shingles occur when too much water is absorbed in one area. 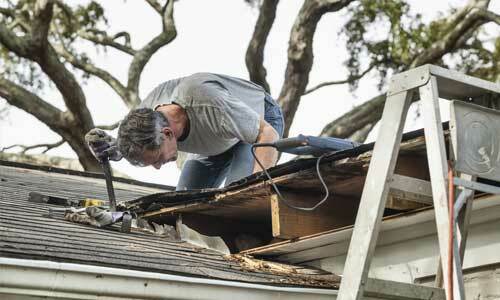 Flashing damage can result in cracking on the top of the roof area. When shingles appear to be loose, roof damage can result when subjected to repeated stress. Sudden increases in utility costs could indicate that the roof is starting to have trouble optimizing the flow of air in the home. 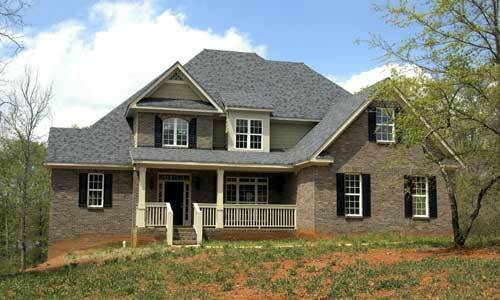 Missing shingles often caused by strong winds compromise the roof’s performance. Evidence of staining to the ceiling indicates that there may be water intrusion. 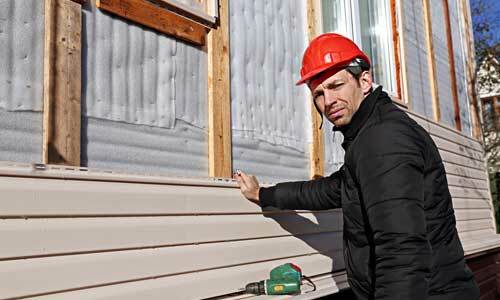 Professional installation leaves the home safe when inclement weather arrives. If done correctly the first time, fewer repairs will be required later on down the line. The professional roofing install gives homeowners the option of reducing utility costs in offering an array of energy efficient roofing options available. A new roof will also prevent the homeowner from having to worry about extensive property damage caused by a vulnerable, leaky section. Getting the roof installed by a professional extends the life of the roof. A quality installation promotes longevity and energy efficiency while enhancing the overall safety of the property. Roof Medic installers can detect and identify any weak areas in the roof that can lead to damage. A professional installer can make sure that the roof is properly installed the first time around. Preventing further property damage ensures that the homeowner no longer has to stress over frequent, future roofing repairs. The roofing installers at Roof Medic know how to identify the source of the leak before it becomes a major safety issue.